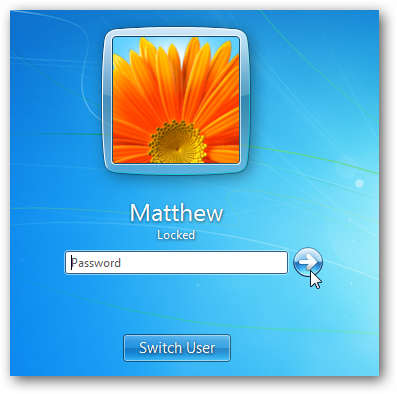 Would you like your computer to automatically lock and require you to enter your password when you exit the screensaver? Here’s how to quickly change your screensaver settings to keep your computer secure when you’re away. 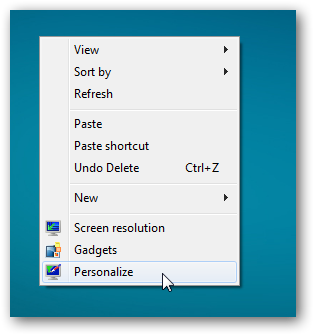 To get started, right-click on your desktop, and click Personalize to open the personalization settings dialog. 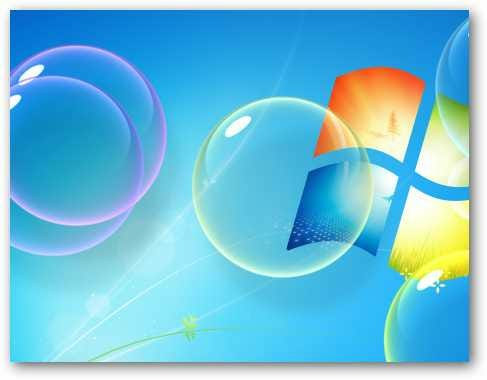 Click Screen Saver under the themes to change your screensaver settings. 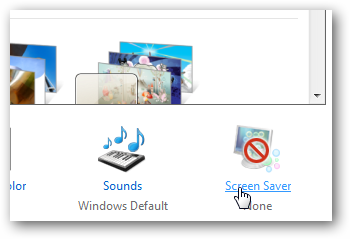 Alternately, if you’d rather open the screensaver settings without grabbing your mouse, hit the Win key and enter Screen Saver in the search box, and select Change screen saver. 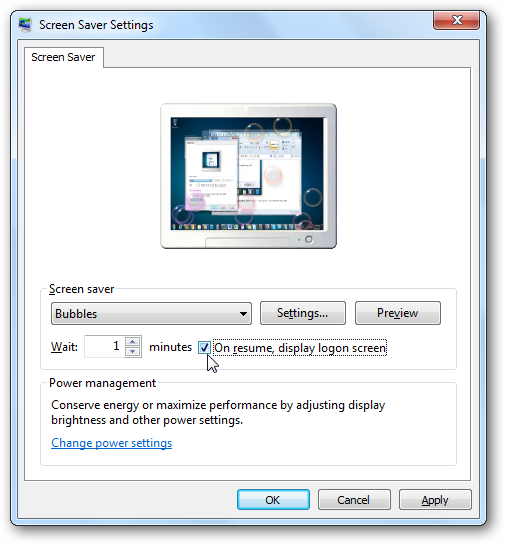 This will open the Screen Saver settings dialog. Select the screensaver you want, then check the box to display the login screen when you exit the screen saver. 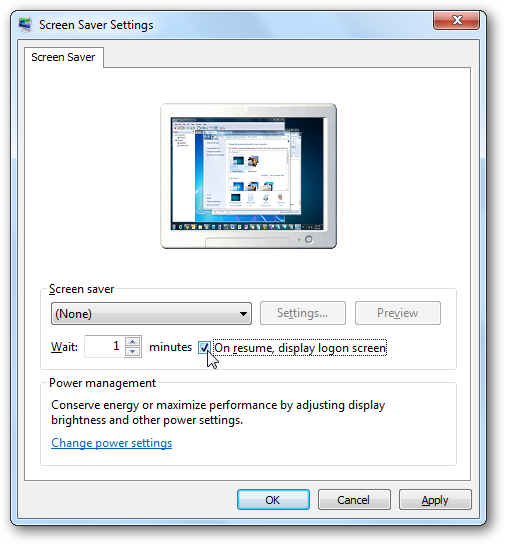 Enter the number of minutes you want to wait before your screensaver starts, then click Ok to save your settings. Now, after the length of time you selected, you’ll see your screensaver as normal. Then, when you move the mouse or press a key, you’ll see the normal login screen instead of your desktop. Enter your password and login as normal to access your computer. 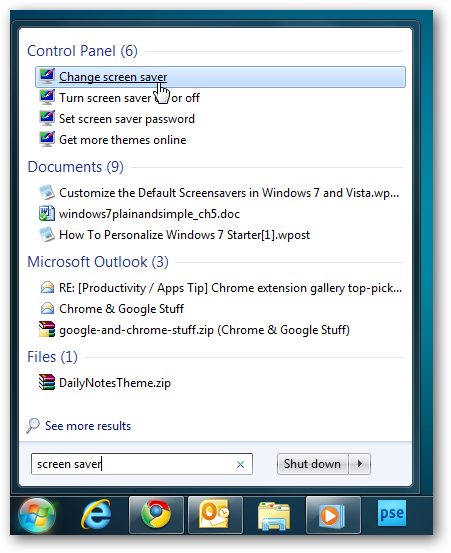 If you’re not fond of screensavers, you can lock your computer when you’re away without turning on the screensaver. Just select None from the screensaver list, then check the box as before. Now your computer will automatically switch to the Login screen whenever your computer is left for the amount of time you selected. This trick only works if your coworkers and family doesn’t know your password, of course. If you want to be sure that people can’t easily guess your password, check out our article on How to Automatically Lock Your Computer When Your Password is Entered Incorrectly.